Rockland harbor will again be site for the Maine Boats Homes and Harbors Show, as seen in this 2010 file photo. The annual Maine Boat and Home Show kicks off Friday in Rockland, bringing more than 100 types of watercraft to the city’s harbor and waterfront for the weekend. 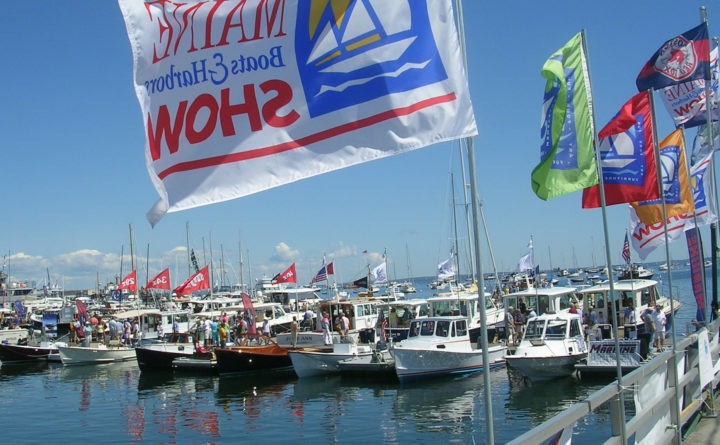 This is the 16th year that Maine Boats, Homes and Harbors magazine has put on the event, which is one of the largest in-the-water boat shows in northern New England. While the show features boats that are for sale — from large yachts to sail-powered vessels — the event also features a “small boat love-in” for which an wide range of privately owned small boats will converge off Buoy Park. Larger working boats will be on display, including the Maine Seacoast Mission ship, Sunbeam V, and Maine Maritime Academy’s R/V Friendship, which is used for classes and research. The show runs Friday through Sunday in Harbor Park, with gates opening at 10 a.m. daily.